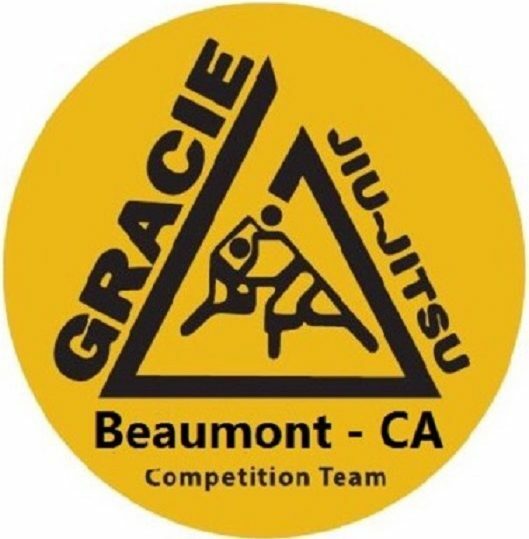 Whether you want to learn self defense or get in shape, Gracie Humaita Beaumont is the place for you. It’s an investment that will pay dividends his or her entire life! The life skills learned are something nobody can take away from them! Discover world class self-defense techniques for a variety of situations. Learn how to protect yourself and your loved ones from those who would seek to do you harm. WHAT MAKES GRACIE HUMAITA BEAUMONT SO DIFFERENT? 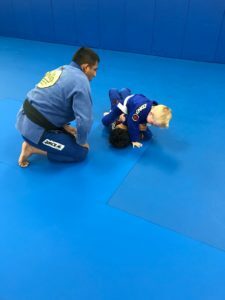 Unlike some Jiu-Jitsu schools that only focus on winning tournaments and competing, our approach is radically different. But first some background: Gracie Jiu-Jitsu originally started as a real-world, highly effective self-defense system. 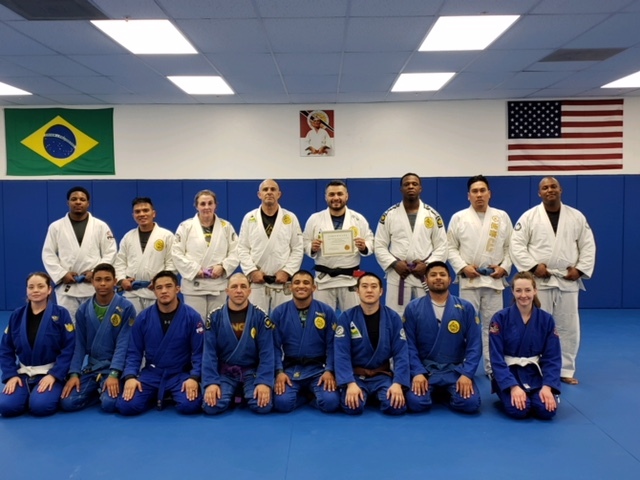 Tested and proven on the tough streets of Rio De Janeiro, the Gracie Brothers (Helio and Carlos) took traditional Japanese Jiu-Jitsu and honed it down to only what worked in a real-world self-defense encounter. They stripped anything out of the art that didn’t hold up under the pressure and fluidity of an attack. They evolved their art over time which eventually became Gracie Jiu-Jitsu. Gracie Jiu-Jitsu has now been proven to be the most effective martial art ever created. This was proven in the original UFC 1, 2 and 3 (which was founded by the Gracies also) when Royce Gracie went head-to-head against Kung Fu artists, Karate practitioners, boxers, wrestlers – you name it – and emerged victorious against ALL of these other martial arts! We stay true to this original Gracie philosophy and these original ideals. However, the Gracies also hosted tournaments to challenge other martial arts, learn and refine their art in the process. 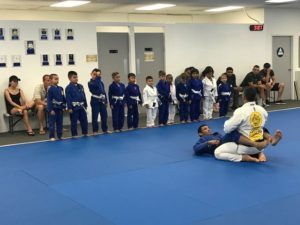 Yes, tournaments do have an important place in Jiu-Jitsu, but we believe there needs to be a balance between techniques that work in tournaments on the one hand – and what really works in a street fight or self-defense situation on the other. Most Jiu-Jitsu schools only focus on tournaments. 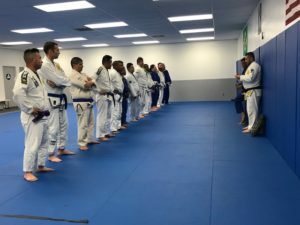 That’s great if you want to become a Jiu-Jitsu competitor, and tournaments are a lot of fun, but we find most people don’t enroll with the goal of being a Jiu-Jitsu competitor. That’s why we focus on both self-defense as well as tournaments. Again, we have a balanced approach. Next, we also focus on the incredibly important “life skills” taught in Gracie Jiu-Jitsu. We teach our students discipline, enhance their self-confidence, learn humility, boost their focus and concentration, help them master fear and overcome obstacles, learn valuable leadership skills in addition to self-defense. Many students (and parents) enroll in Gracie Beaumont specifically to learn these life skills. One could argue that they are actually more important than self-defense techniques alone. But that’s up to the student and his or her parent. So to wrap up. What makes us different from all the other Jiu-Jitsu schools you’ll find out there? 2.) We teach important life skills in addition to the world-class self-defense skills you’d expect to learn from any Gracie academy. Call today to schedule a free intro class!